NEW LARGER WIDTH (up from 1 3/8″). 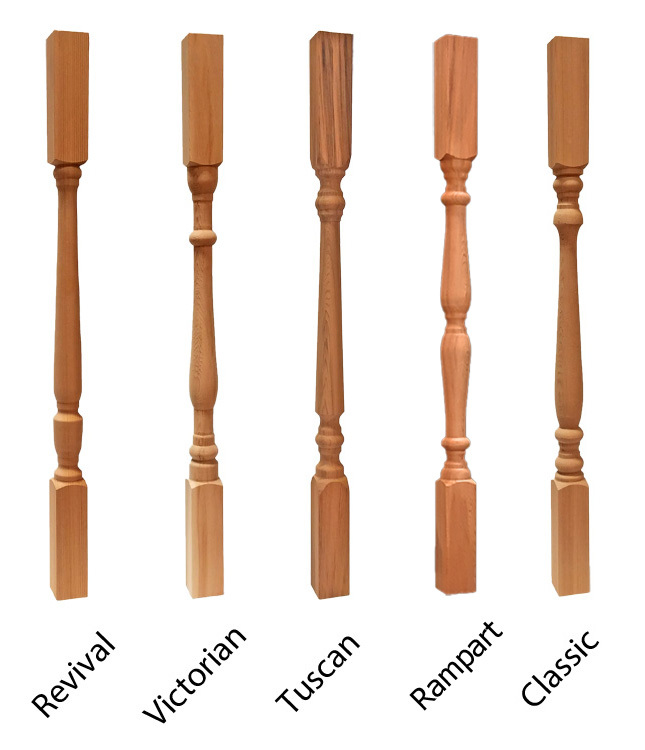 These 1 5/8″ wide porch or deck spindles are the smallest standard width we offer. 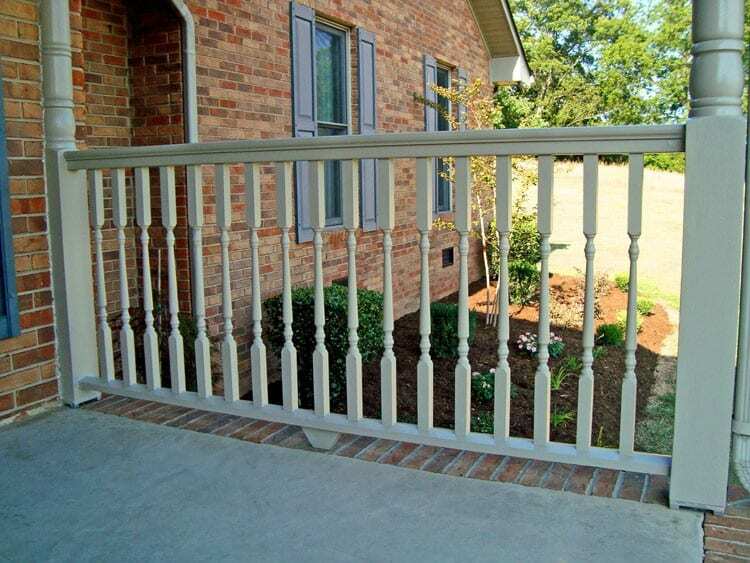 They are often used on deck railing when the homeowner is looking for something a little fancier than the regular square balusters. These porch spindles are also often used on smaller porches/homes when “overpowering” the exterior is a concern, or where smaller “gingerbread”-type details are used to dress up a home’s curb appeal. Turned portion is 15″ long, centered in the spindle. Bottom notch option reduces length by 1/8″. Spacing & Quantity: To meet the 4″ ball rule required by most building codes, space these deck spindles every 4 3/4″ On Center. The smallest diameter of the turned portion is approx. 7/8″, so with a 4 3/4″ O.C. spacing, you’ll have a 3 7/8″ gap between them at the narrowest portion. Example: 10′ of rail, which is 120″. Take 120 divided by 4.75 = 25.3. So 25 spindles needed.